What a machine! This thing is a machine and a half! 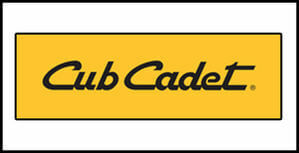 Cub Cadet has put their heads down and bums up designing and engineering a zero turn mower with plenty of grunt. The massive 31hp Kawasaki engine with a large air filter is one that just keeps on going. Kawasaki engines are industrial and reliable which is why its the first choice for most consumers. The strength of the machine speaks for itself with the 60" fabricated cutting deck providing this mower with a durable deck. Equipped with dial suspension and a ISO mounted base (lateral suspension) complimented by an extra high-back for optimum operator comfort. The steering wheel setup is also a nice feature moving away from traditional lever style this mower is prefect for someone that is not fully comfortable with the levers or has a property that is flooded with slopes and hills.The steering wheel zero-turn mower allows you to stay fully in control of the front wheels at all times meaning you can take this mower on 20 degreee slopes. The tradtional lever style, although faster, the front wheels are merely a jockey wheel and on slopes and can tend to want to carry you down the hill. This mower is also backed by a very generous warranty with it being given a 5 year warranty on the fabricated deck, 3 year domestic warranty on the unit. 3 year domestic warranty on the engine and a 2 year commercial warranty all round. Extra high back and dial suspension seat for ultimate comfort made from EVC cushion. Unit: 5 year fabricated deck shell & 3 year domestic warranty. 2 year commercial warranty (no hour limitations). / Engine: 3 year domestic warranty. 2 year commercial warranty. This engineering brilliance has revolutionised the way in which we manage our grass. 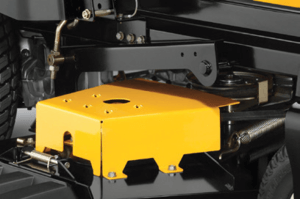 The ability to turn on a dime saves the operator time and money and they can easily manoeuvre around obstacles in a fluent way in contrast with ride on mowers which struggle around objects. 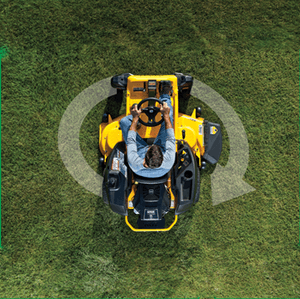 Zero turn mowers can save you up to 40% of the time you spend on mowing! 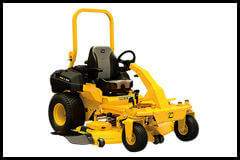 This mowing deck is designed to stand up to some of the toughest conditions making it a strong and durable machine. 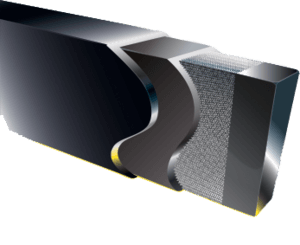 The triple 7 gauge steel cutting deck makes it one of the toughest on the market, with 7 gauge top bottom and sides theres no weaknesses here. 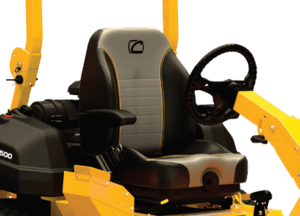 Nothing better than extreme comfort when mowing your lawns and the Cub Cadet Air-Ride seat with adjustable suspension is all that and more. An isolation dampening system, angle adjustment, padded armrests and lumbar support give you the ultimate comfort.